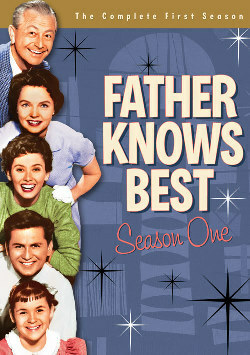 The television program “Father Knows Best” hit the airwaves in 1954 and was a staple of American viewing through 1960. Robert Young, who played “father,” was in many ways the country’s paternal figure before “Uncle Walter” Cronkite became “America’s News Anchor” in 1962. “Father Knows Best” depicted what much of America saw as the idyllic family on the late 1950s. On numerous occasions when “the wife” and the children went into the living room, they saw father reading the newspaper. You see, it was dad’s responsibility to keep informed about the world, and if necessary, he might share what he read with satellites of his family. twenty-four hour news channel called CNN (Cable News Network). During the era of “Father Knows Best,” the three networks each had fifteen-minute evening news programs. With the launch of CNN, Turner multiplied the availability of television national news by a factor of 96 over what it had been in 1960. The channel’s programming focused around the idea that a viewer could tune in at any time and, in just 30 minutes, receive the most popular national and international stories, in addition to feature reports. The format, known as the Headline News Wheel, featured “Dollars and Sense” personal finance reports at 15 and 45 minutes past each hour, Headline Sports at 20 and 50 minutes, lifestyle reports at 25 and 55 minutes past each hour, and general news during the top (:00) and bottom (:30) of the hour. So how does this relate to “Father Knows Best?” Because Robert Young, as father, was essentially living in a pre-television news era. Many observers believe that television news did not become “real” until the assassination of President John F. Kennedy on November 22, 1963 when Americans essentially stopped, sat, and stayed glued to the television for four days. The fact that Kennedy’s alleged assassin, Lee Harvey Oswald, was himself killed live on TV on Sunday, November 24 made television the clear news medium of choice, immediacy, and drama. Robert Young in “Father Knows Best” was the 1950s image of an adult who wanted to be informed about the world around him. Never mind that the program reflected the chauvinism, paternalism, and simplicity of the 1950s, or at least as we perceive the ’50s. If we project the program into the 1980s and beyond, this “fictional functional family” would have dad, mom, and the grown kids all watching television news on a regular basis to stay informed. 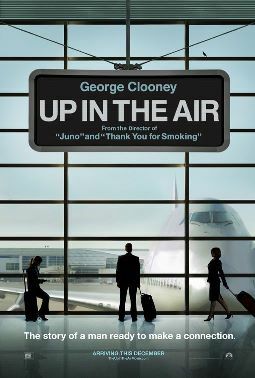 Now fast-forward our fiction to 2009 when George Clooney starred in the movie “Up in the Air.” Clooney plays Ryan Bingham, somewhat of an empathetic and enigmatic protagonist who flies from city to city doing the dirty work for corporations: firing employees. If we forget the nature of Bingham’s work, we can see that his lifestyle is similar to that of millions of professional men and women in the United States and around the world. His days often begin early and frequently end late, due to professional responsibilities or discretionary extracurricular activity. It would be common for him to get back to his hotel room at 9:30 PM. His work and his natural curiosity would motivate him to be informed about what is going on in the world. One option for him upon reaching the hotel might be to prop himself up in his bed, grab the remote, and turn on the TV to catch up on the day’s happenings. There’s only one problem. There’s no way to get news on TV. Instead, he’d have the choice of hearing the likes of Bill O’Reilley or Glenn Beck rant from the right or Keith Olbermann or Rachel Maddow pontificate from the left. CNN (the main channel, not Headline News) could be offering serious journalism with John King or Anderson Cooper, but not a wrap-up of the day’s events. He might not even get any journalism on CNN, if Larry King is interviewing the latest contestants from “American Ido,l” or Cooper is fixated on a sensational murder. To its credit, CNN has tried to present serious journalism. The bias it has is to the center, which is probably as reasonable as we can expect it to be. But it worked best when it had the companion network of “Headline News” with summaries of the day’s event every thirty minutes. The ratings of the current CNN are down, and some feel that its days may be numbered (as opposed to Ted Turner’s original prediction that it would not go off the air until the world ended). But CNN still has Christiane Amanpour, Fareed Zakaria, John King, Candy Crowley, Nic Robertson, Joe Johns, and frequently the non-frivolous Anderson Cooper. There is quality to be found there, if one is selective. the events occurring at the time. But if Robert Young of “Father Knows Best” ever got home from work late (oops, scratch that; it never happened in the idyllic family of the 1950s) or more likely Ryan Bingham checked into his hotel room at 9:30 PM, he could literally surf hundreds of channels and not find a wrap-up of the news. Our lives have become more fragmented and unpredictable. We are not going to go back to the lifestyle of “Father Knows Best,” when everything seemed scheduled and no one varied from the prescribed schedule. Computers give us access to information any time that we want it. But streaming video is not yet a match for high- definition television. We need an informative and vibrant CNN. If that’s going to happen, it has to reestablish a healthy symbiotic relationship with “Headline News.” So, Nancy Grace, why don’t you check if there are any openings at Fox? Bring back the “Headline News” “stars of the pas,t” like Chuck Roberts, Lyn Vaughn, David Goodnow, Bob Losure, Lynn Russell, Don Harrison. 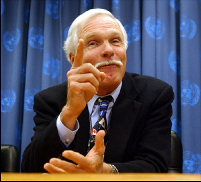 Restoring the credibility of television news must start with returning to Ted Turner’s vision of it being available for any one at any time … until the world ends.